Dr. Hauschka Med provides medical care products derived from nature. Together with doctors and research institutes, we developed a special range of products for very dry skin, atopic dermatitis, teeth and lips. Learn more. Do you suffer from dry lips? Are you familiar with that tight, tingling sensation? Do you develop painful, itchy cold sores? Caring for the lips while the skin is healthy can prevent such problems. The mouth and teeth have a greater influence on our health than is commonly realized. It is therefore important to strengthen the resistance of our tooth enamel and oral flora. Anthroposophical dentist Dr. Güldenstern knows that the best way to achieve this is to employ a holistic approach. The many virtues of Dr. Hauschka Med products. 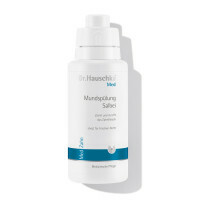 With their protective and balancing properties, Dr. Hauschka Med products provide more than basic care, they also have a preventive and stabilising effect. 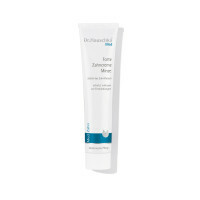 Dr. Hauschka Med includes products to combat atopic dermatitis, very dry skin and lips that are prone to cold sores, as well as products to protect the teeth and promote a healthy oral flora. Our medical care products essentially comprise medicinal plants, natural oils and waxes, such as ice plant, avocado oil and mango butter. Medical care based on the latest research. All Dr. Hauschka Med products are developed in accordance with the latest scientific findings in close cooperation with doctors, estheticians and test/research institutes. Their effectiveness has been proven by scientific studies. The range is founded on the over 80 years of experience of WALA Heilmittel GmbH, which manufactures WALA Medicines, Dr. Hauschka Skin Care and Dr. Hauschka Med products under the same roof.